pizza | Remains of L.A. I met my friend Jenelle at Miceli’s Pizzeria for dinner. 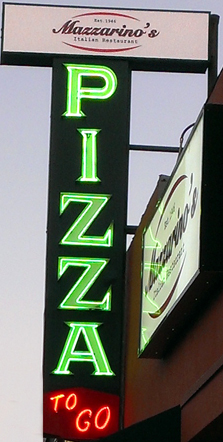 I’d never noticed before that “pizzeria” is part of the name. 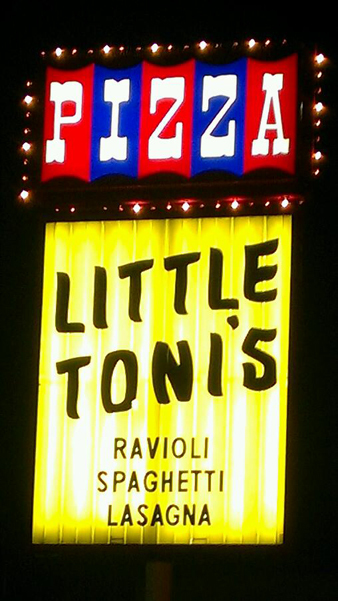 It seems like such an old-fashioned Italian restaurant, I never thought of it as being a pizza place in particular. -Brick walls, ornately carved wooden pillars and booths, red, white, and green Christmas lights, hanging tiffany lamps (they seem to be in almost every place I go), lamps that look like old-timey street lamps with red, white, and green glass panels. Covering the ceiling are those straw baskets they put around the bottoms of wine bottles, signed by customers. It feels very cozy and warm. There’s a short staircase up to another level where a piano is playing. Categories: Restaurants | Tags: 1949, hollywood, Los Angeles, pizza, retro, vintage | Permalink.